A student was left disgusted after being served an organic smoothie – filled with dead ANTS. 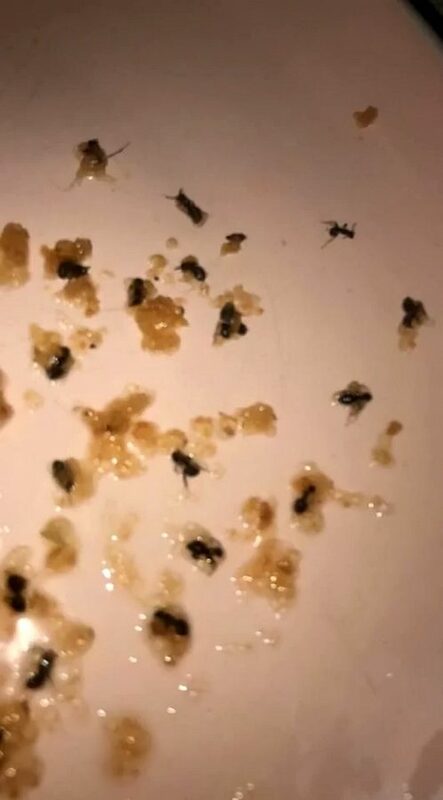 The University of Manchester student called out the cafe online after being served the disgusting smoothie, that contained dozens of dead insects. She ordered the smoothie from Fuse cafe, a so-called ‘brunch spot’ in the Manchester specialising in ‘fresh, healthy food’. Photos of the drink reveal a series of crushed black spots at the bottom, which the student initially thought were seeds. Speaking to student newspaper The Manchester Tab, she said: “I thought it was just like an apple seed or something. “But just in case I spooned it out and then realised that there was a ton of ants. The student said that she contacted delivery company Deliveroo about the find, which is now said to be ‘investigating’. A spokesperson for Fuse said: “At Fuse, we pride ourselves on our high standards of food hygiene and health and safety. “We undergo routine unannounced inspections from the Food Standards Agency and hold a Five Star Food Hygiene Certificate. They added: “The image posted on social media has shocked us greatly. “We regret that no attempt was ever made to contact ourselves or Deliveroo, who processed the delivery of the order, prior to this being posted online. A Deliveroo spokesman said: “We are very sorry about this customer’s experience and the contents of her smoothie. 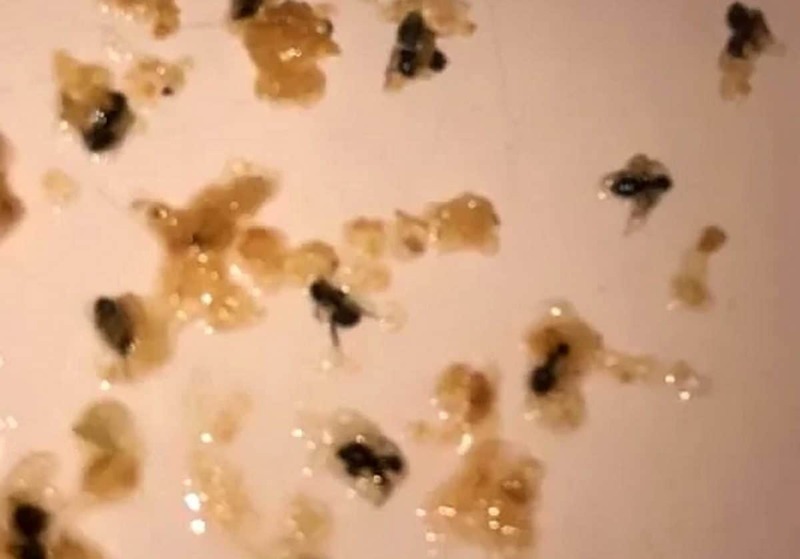 “We are currently investigating this matter with Fuse, a restaurant partner who’ve never experienced an incident like this before and have a five-star food safety rating – the highest you can get.